considered as a whole, the types shown are really representative of the furnishings of the average middle-class English home when George the Third was king. There are, however, one or two models of a less costly, and more strictly utilitarian, type—designed more immediately for use than display—which we may consider in passing. They are models possessed of such indisputable advantages that one or two of them still continue to find a place in every well-appointed showroom, and sell quite as readily now as ever they did. Of these we may note the well-designed and sensible convenience for the bedroom portrayed in Fig. 6, Plate VIII. 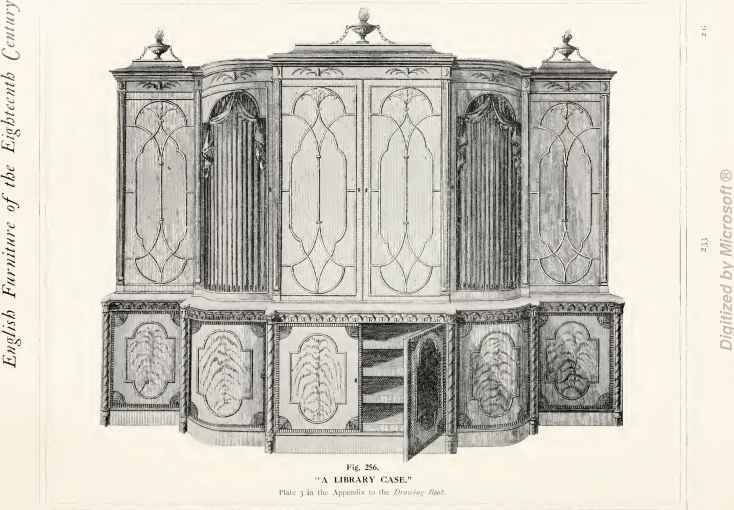 ; the capital corner washstand, Fig. 9, Plate IX., of a type cultivated by Heppelwhite and Sheraton alike (see " Heppelwhite," Fig. 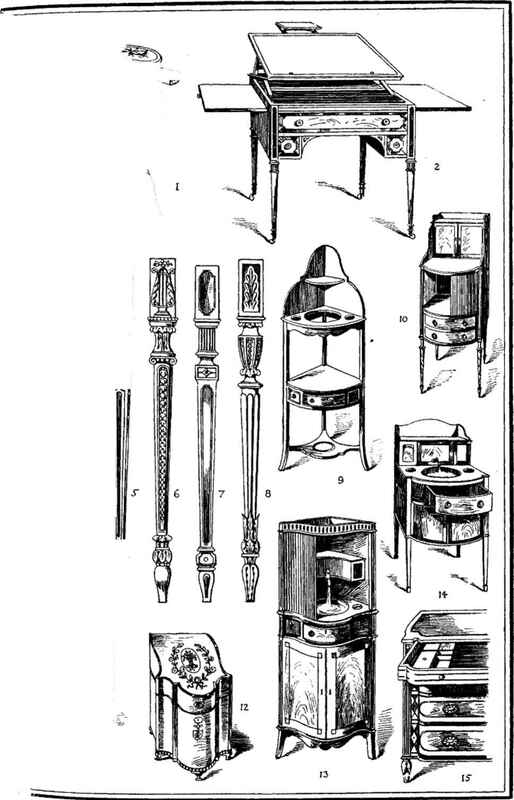 2, Plate V.), and of which thousands are still being manufactured; another article of the same description, but on a scale rather more elaborate, Fig. 13, Plate IX. ; and the two remaining washstands, Figs. 10 and 14, on the same plate, designed for office use. These are all simple in form, and comparatively inexpensive in character; nevertheless they possess the mark of this particular style so clearly impressed that there is small fear of their being mistaken for anything other than pure " Sheraton."